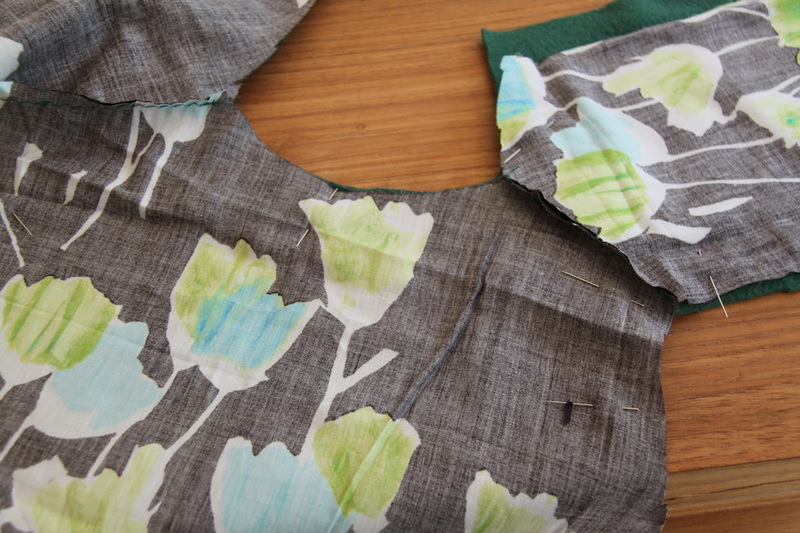 Start with drawing a simple bodice pattern based on a garment your child already has. 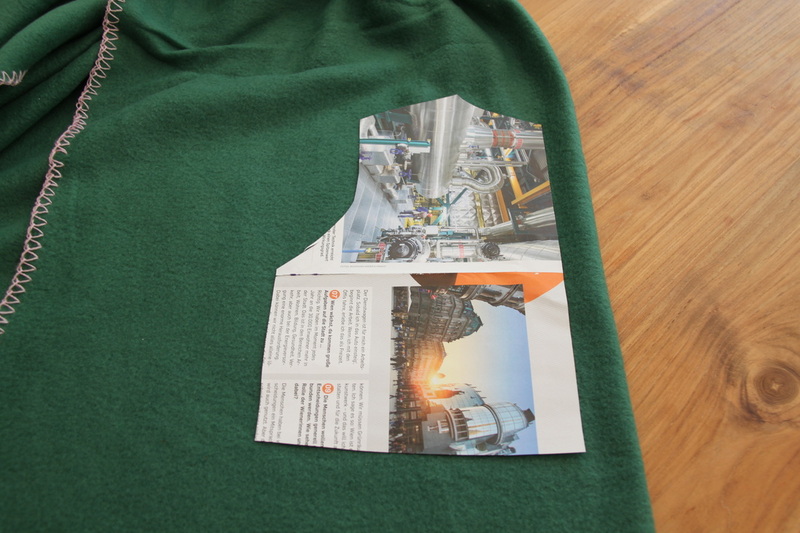 Cut on a fold for the back of the coat. 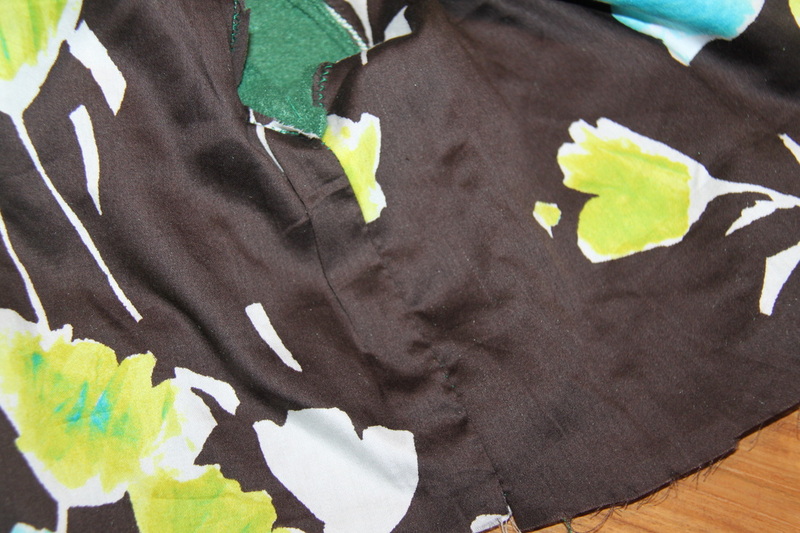 Cut two pieces for the front, extending one (or both) to overlap, so you can close them with buttons later. 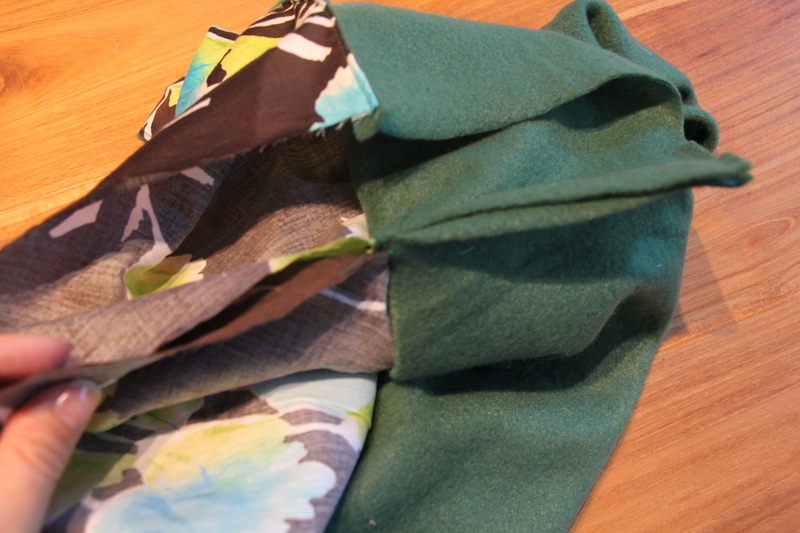 If your material is stretchy, make sure you cut all pieces in the same direction. 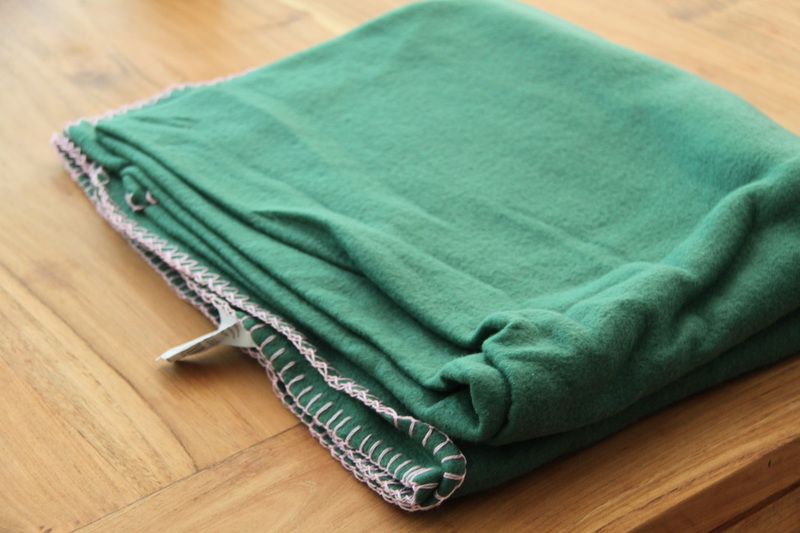 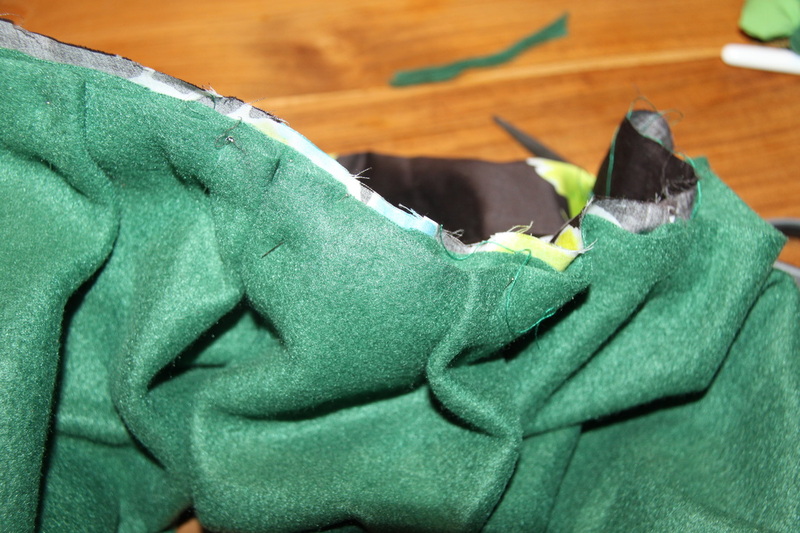 If you are using lining, cut the same pieces from the lining material. 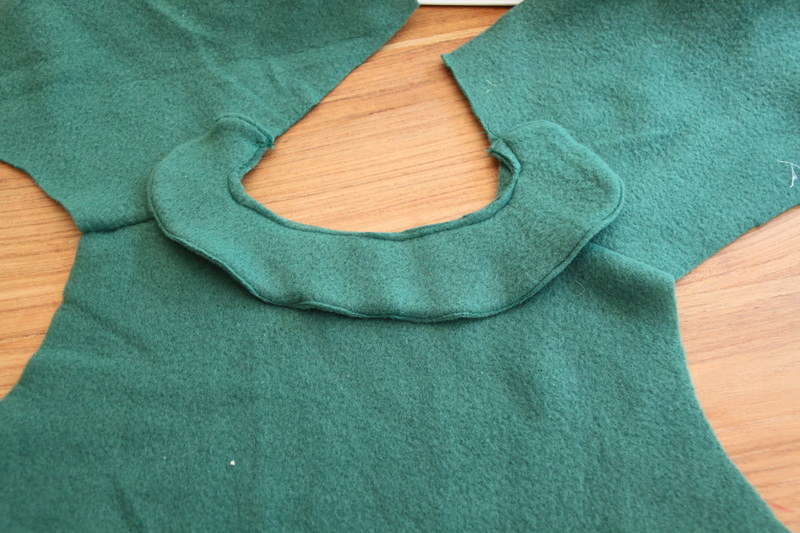 Cut two pieces for a collar. 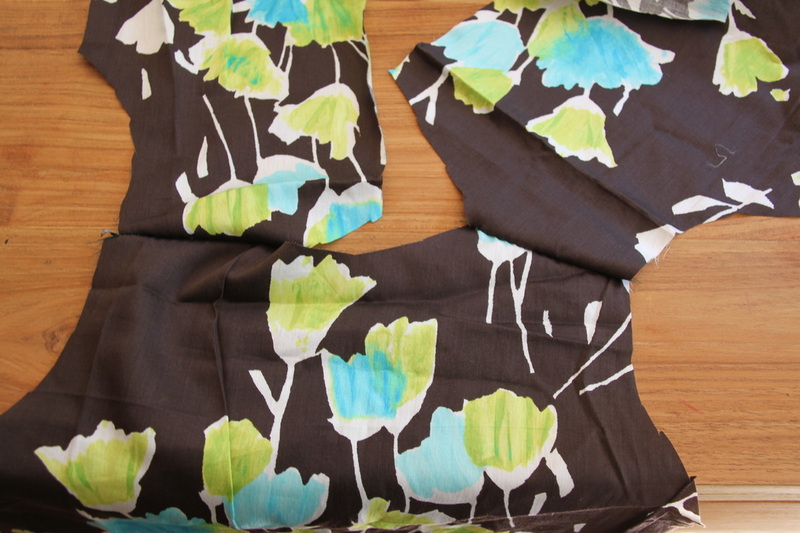 I didn't have any pattern for that, just made sure the size matches the neckline. 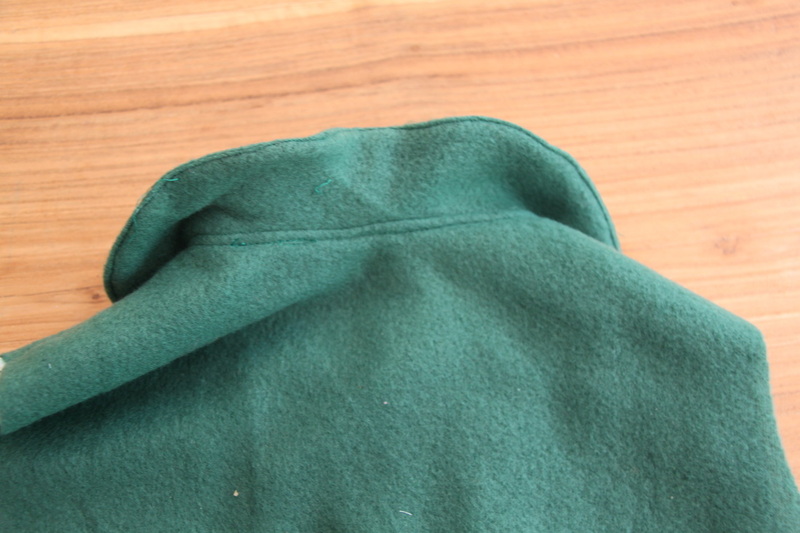 Put your two collar pieces right side together, stitch leaving a small opening, turn, top stitch. 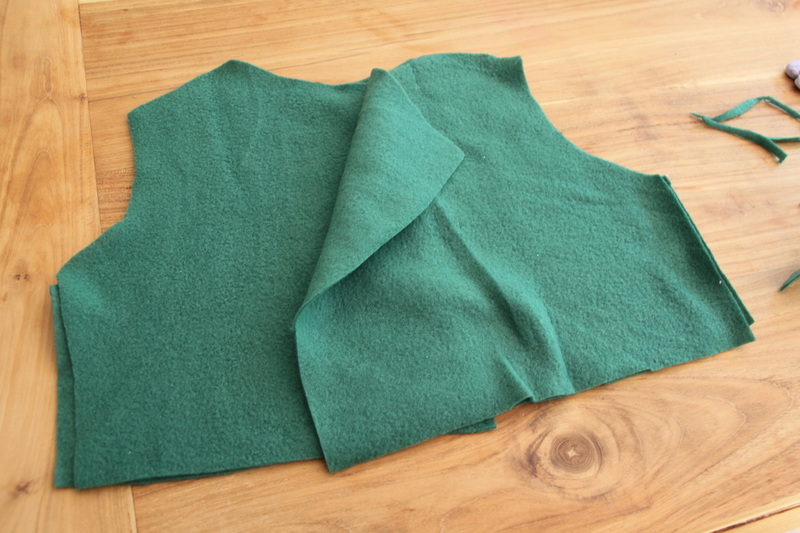 Connect your main bodice pieces at the shoulders. 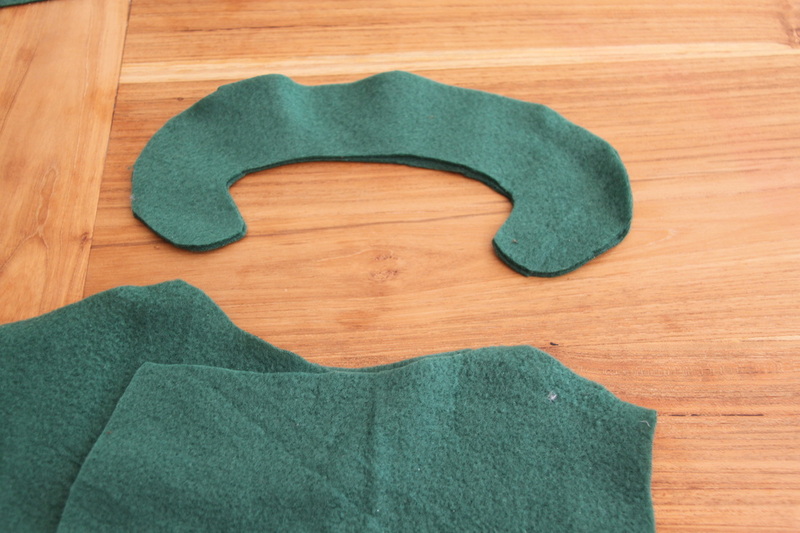 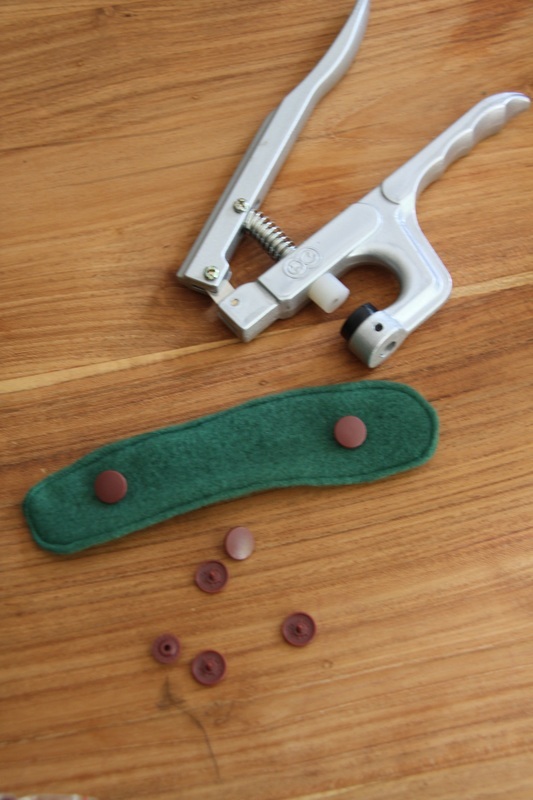 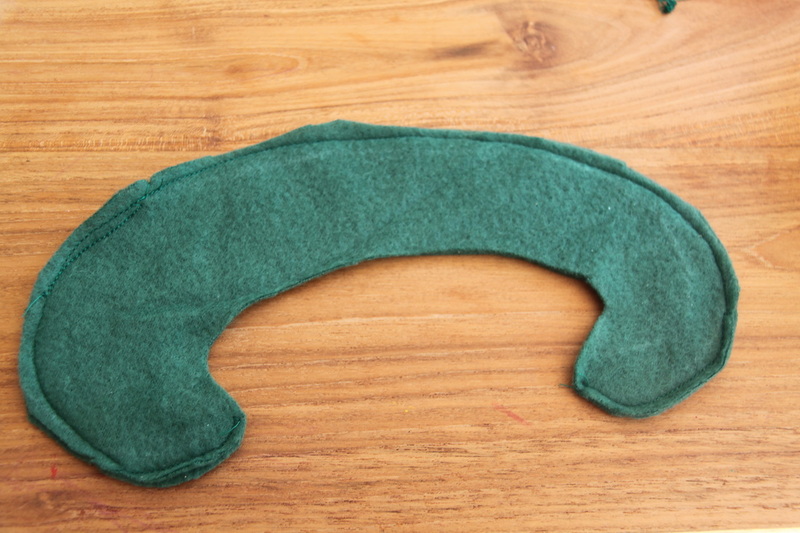 Turn to the right side and pin and stitch the ready collar piece. 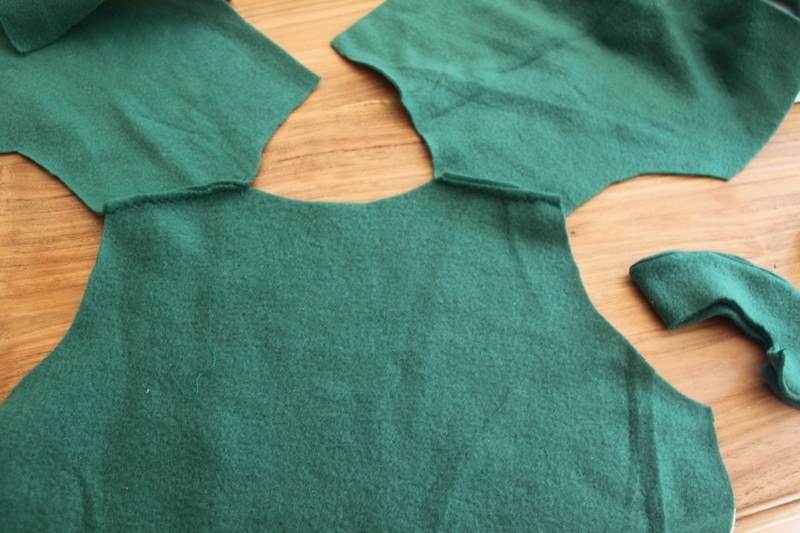 Cut your lining pieces, connect at the shoulders, pin to the main fabric, right sides together, stitch at the neckline and front. 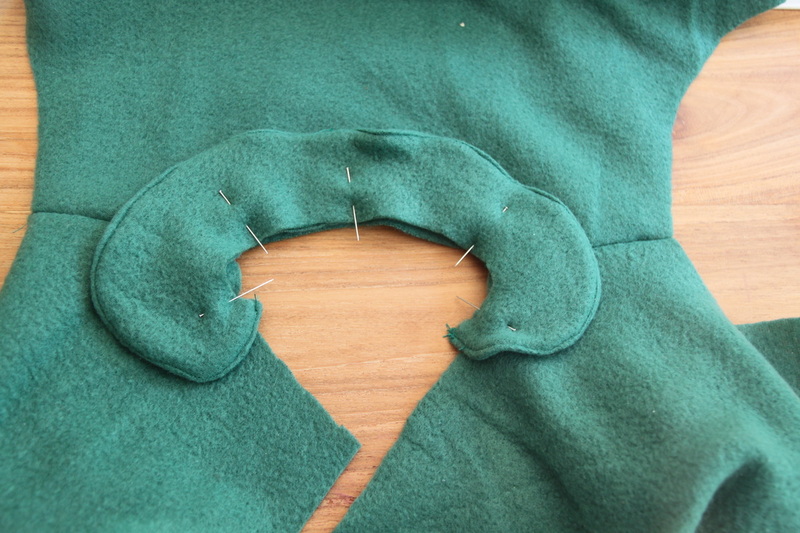 Turn right side out and topstitch at the base of the collar. 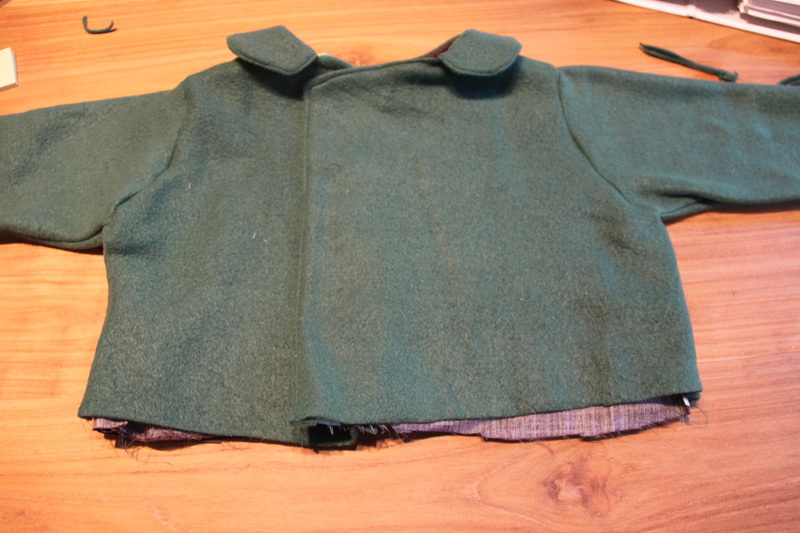 Attach the sleeves to the bodice. 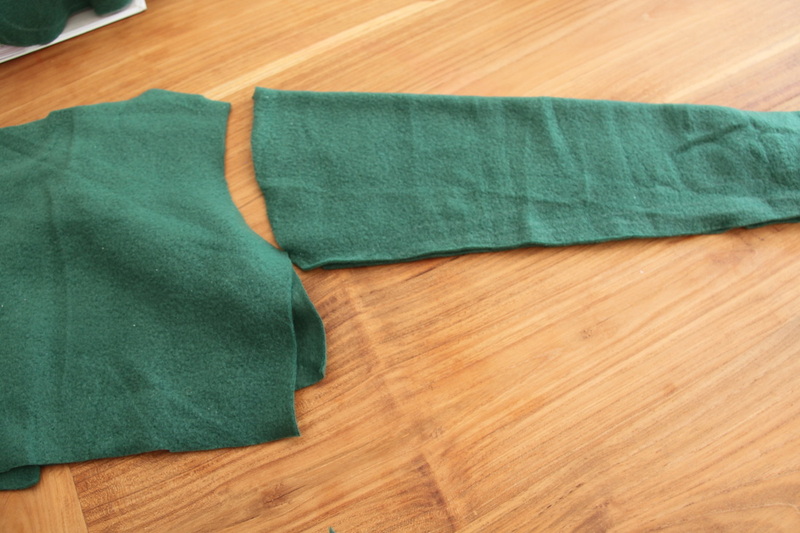 Close the sleeves. 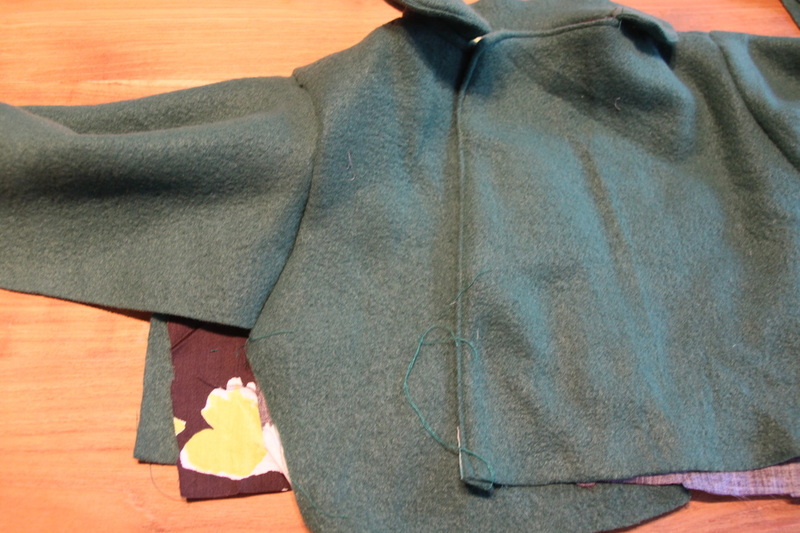 Hold the lining and main bodice side parts as shown, stitch together, so you don't see any ugly seams from either inside or outside of the coat. 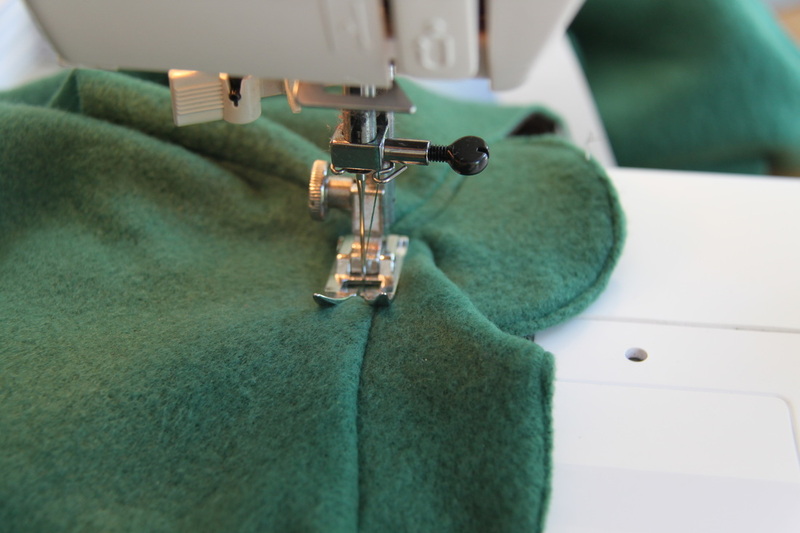 Cut a skirt piece with length 3 x the length of the back of the coat. 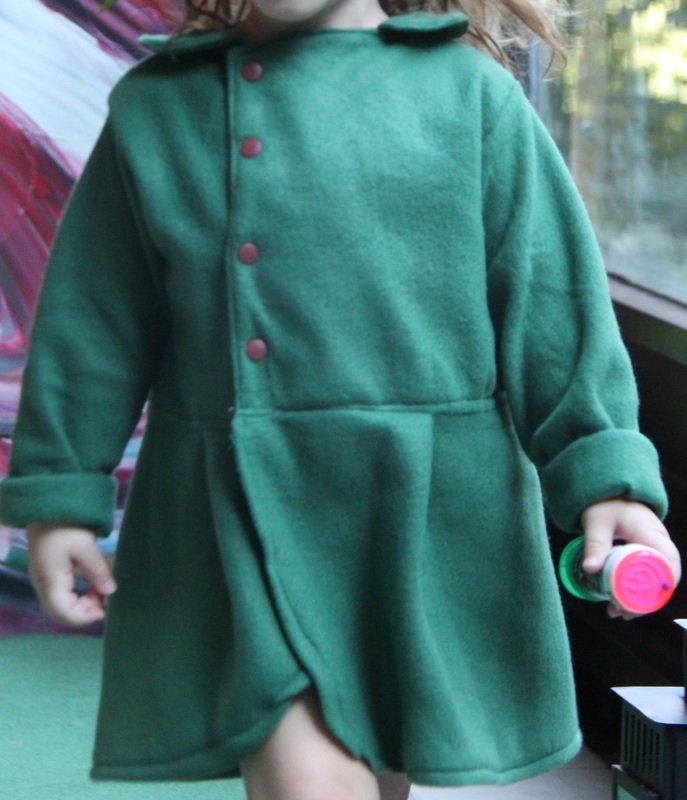 If you are making this for a baby and you want it to look really cute, use a shorter bodice and longer skirt. 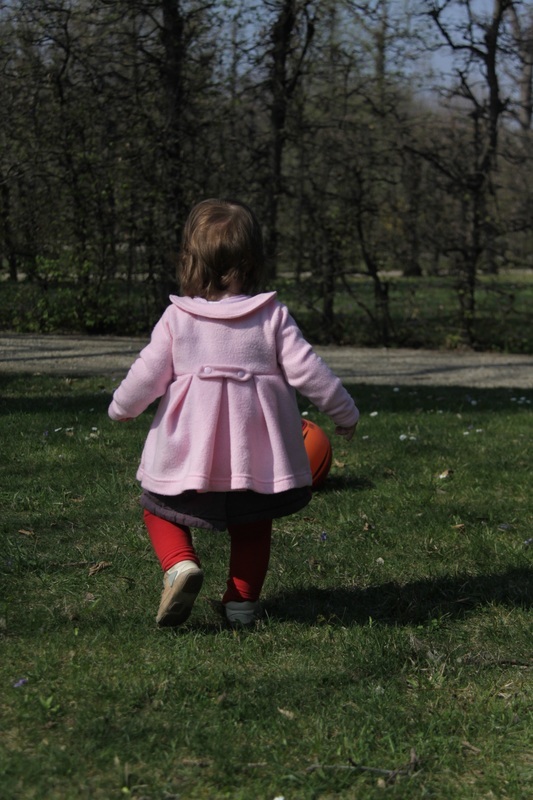 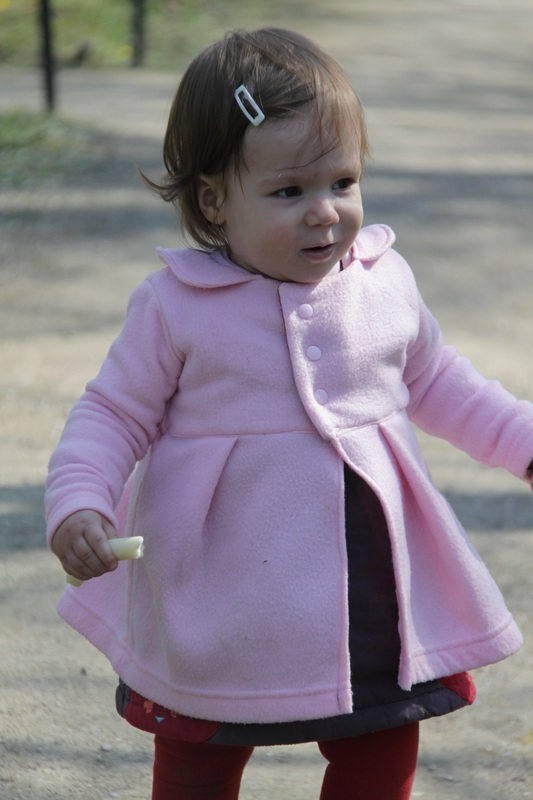 For my all-grown toddler I used a long bodice and about the same size skirt. 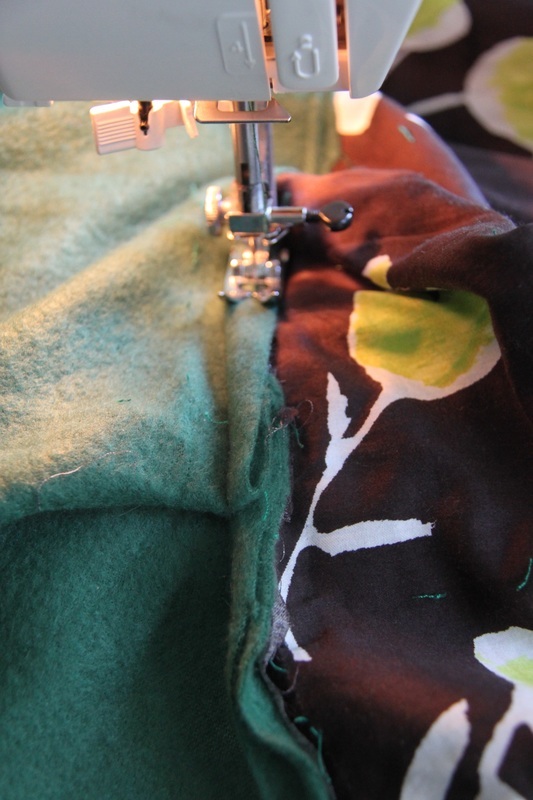 Pleat and stitch together. 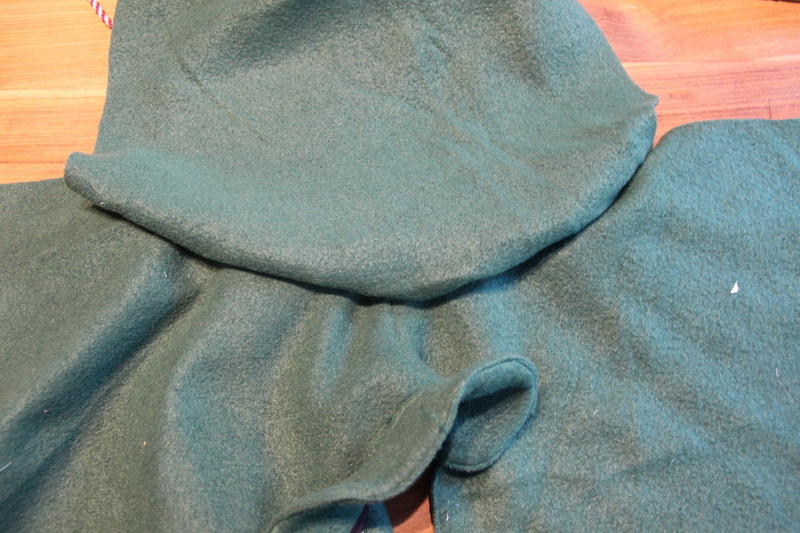 You could cover the raw seams with a twill tape, but I find this almost impossible to do nicely, so the seams are all even on the outside. 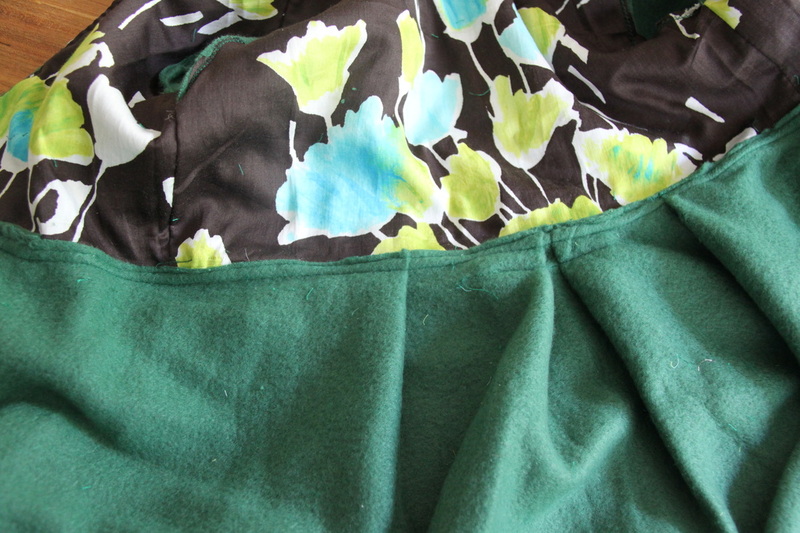 A safer bet would be to stitch the lining folded on top of the seam that connects the skirt and the bodice. 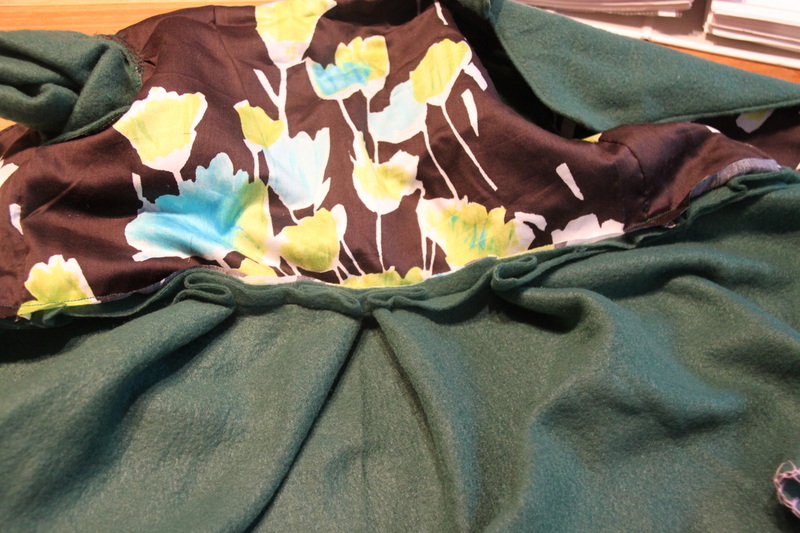 This time, I chose a third option, since I'm working with fleece: I folded the skirt material over the bodice and lining seam and stitched again. 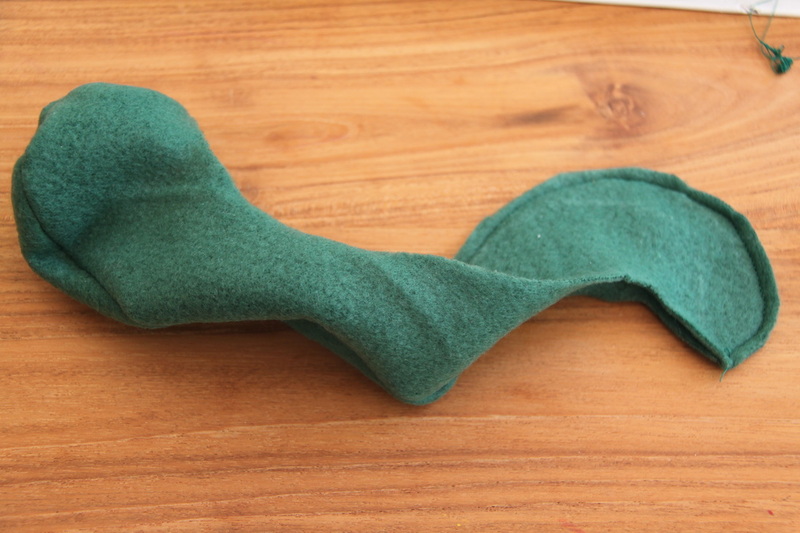 It turned out pretty neat, considering my sewing skills. 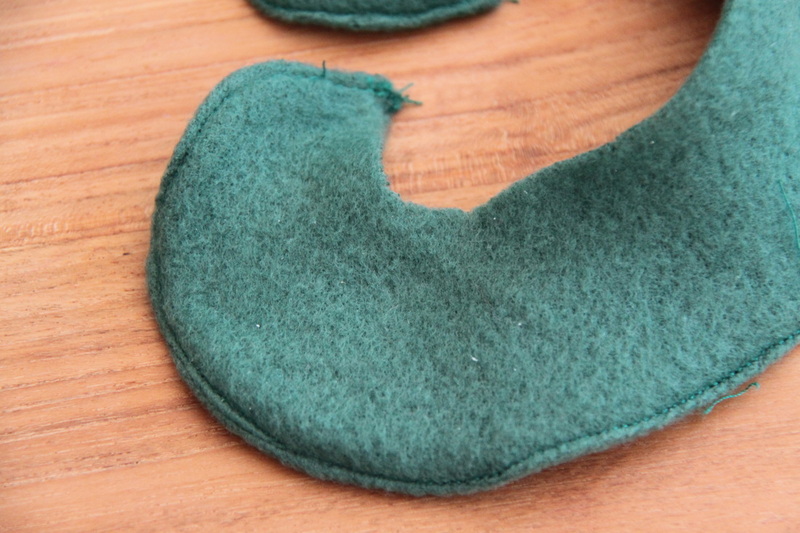 Cut a little decorative piece for the back, stitch right sides together, turn, top stitch, add buttons. 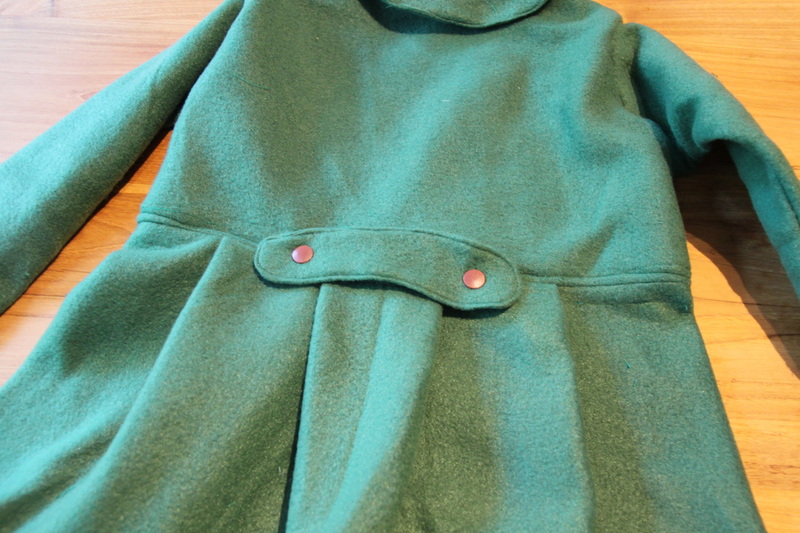 Add decorative piece to the back of the coat. 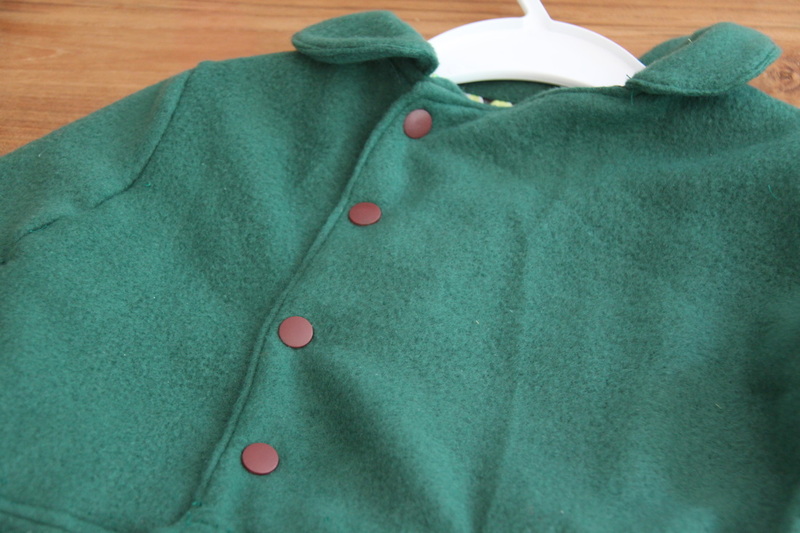 Add buttons to the front, too. 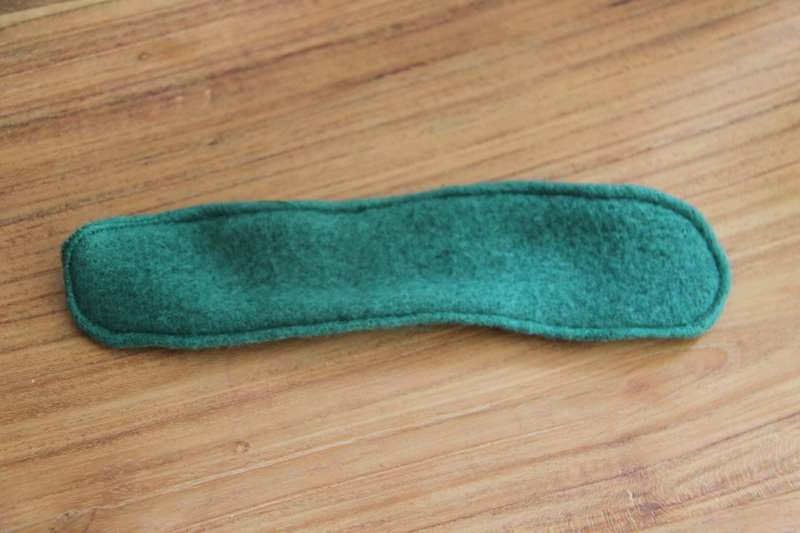 I normally use snaps, since my kids like them, and mostly because I never had the time to buy normal buttons. 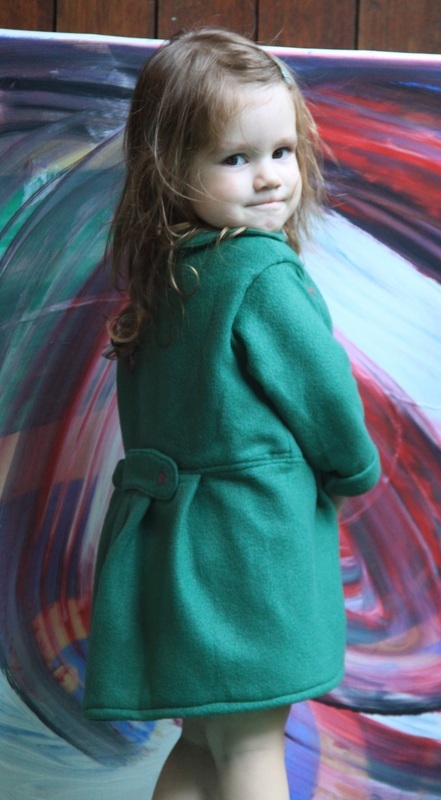 And, there you go, let your toddler try their new dress coat on!